Studying in school can be so stressful at times. Sometimes you need a break time…to chillax or just to "lepak" with your friends! 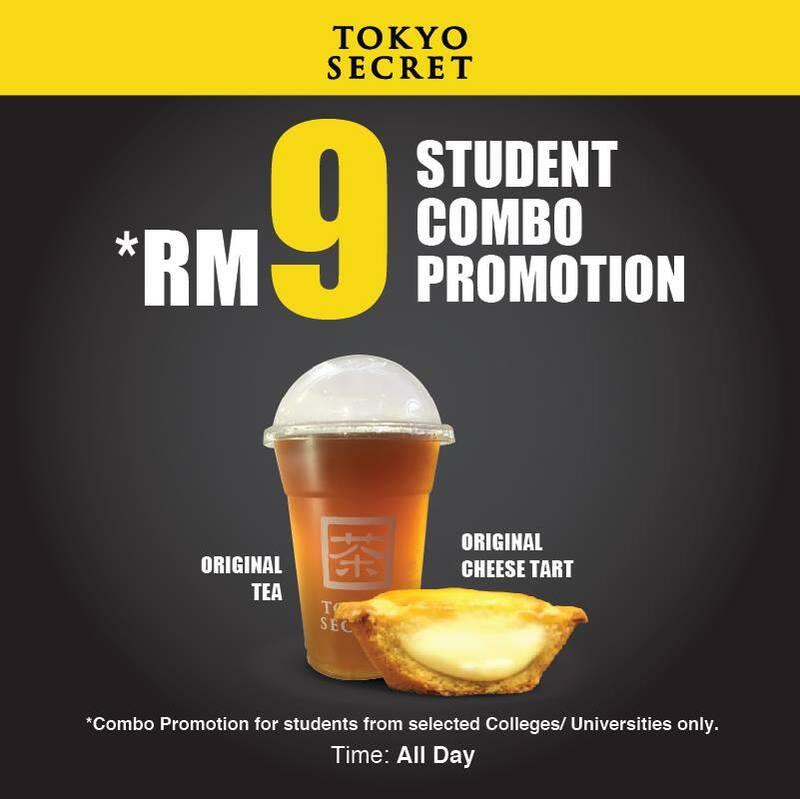 We are offering a Student Combo @ RM9 (1 Hanjuku Cheese Tart and One Original Tea) to all students from selected Colleges and Universities in Klang Valley. All you need to do is Flash your valid Student ID card to our friendly cashier. So chin up, fill up and good luck for your upcoming examinations! Applicable at Tokyo Secret Outlets at The Curve, Sunway Pyramid and Setapak Central. Valid on Mondays to Fridays.